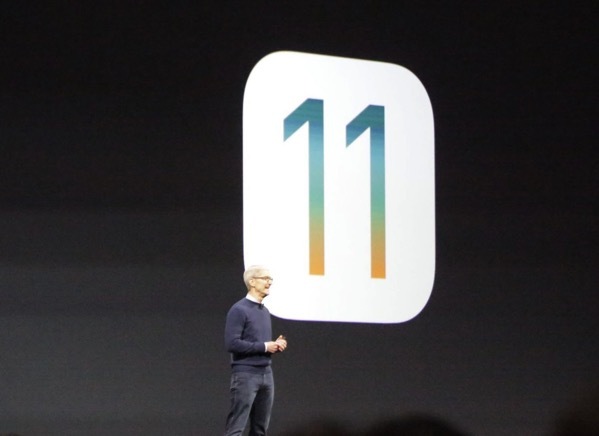 In addition to an all-new App Store on iOS, Apple also previewed the upcoming iOS 11 today during the WWDC 2017 keynote, with tons of powerful new features for iPhone and iPad, including a new Files app, advanced multitasking features for the iPad and Apple Pay in messages. 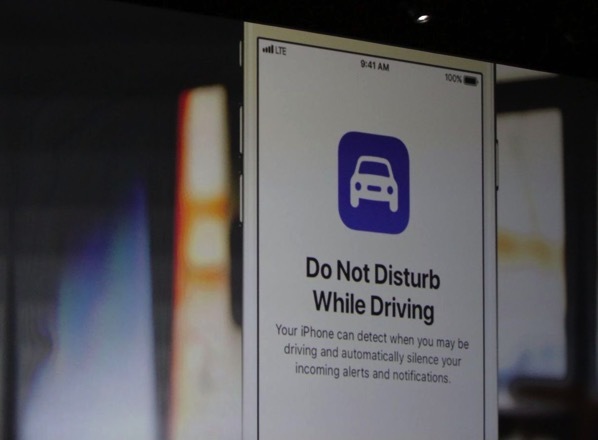 Additional features include, Do Not Disturb while driving to help users stay more focused on the road, a new voice for Siri and new capabilities in Camera and Photos app. Apple Pay users in the US will be able to make and receive payments with friends and family quickly, easily and securely. 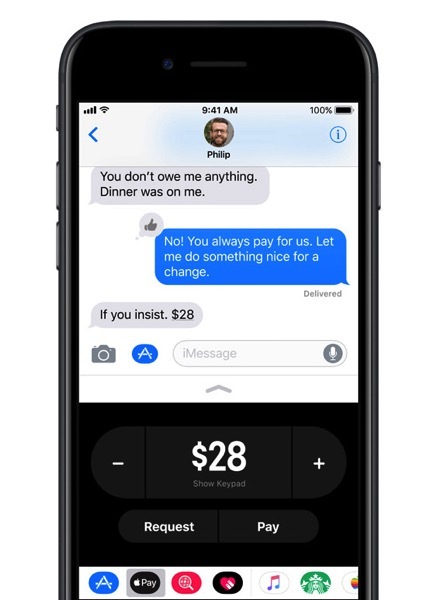 They can send money and get paid right in Messages, or tell Siri to pay someone, using the credit and debit cards they already have in Wallet. When users get paid, they receive the money in their new Apple Pay Cash account. They can use the money instantly to send to someone, make purchases using Apple Pay in stores, apps and on the web, or transfer it from Apple Pay Cash to their bank account. With iOS 11, Portrait Mode images can be taken with optical image stabilization, True Tone flash and HDR, so every shot looks even more professional. Live Photos are more expressive with new Loop and Bounce effects that create continuous video loops, while Long Exposure can capture time and movement. 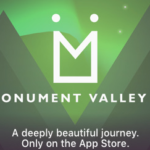 In Photos, Memory movies are optimized to play in both portrait and landscape orientation, and more memories, such as photos of pets or birthdays, are automatically created. With iOS 11, Apple introduces a new technology called High Efficiency Image File Format (HEIF) that reduces the file size of every photo taken with iPhone 7 and iPhone 7 Plus. 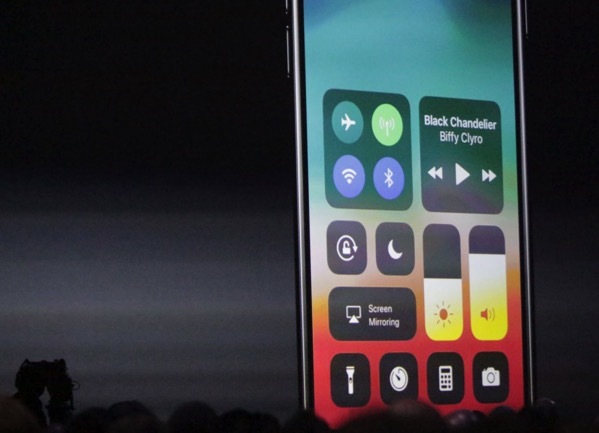 Apple has also redesigned the Control Center in iOS 11, which is the panel that users can swipe up to access frequent and important settings or change songs when listening to music. 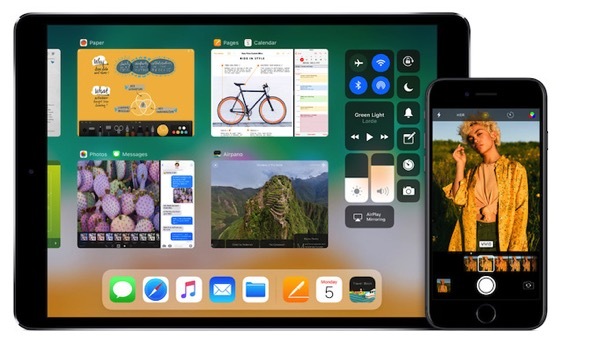 iOS 11 makes multitasking on iPad even more powerful with a new customizable Dock that provides quick access to frequently used apps and documents from any screen, and a redesigned app switcher makes it easier to move between pairs of active apps, used in Split View and now Slide Over. Apple Pencil is more deeply integrated into iPad with support for inline drawing and a new Instant Notes feature opens Notes from the Lock Screen by simply tapping Apple Pencil on the display. Other new features in iOS 11 include a redesigned App Store drawer for iMessage apps, ndoor maps for major airports and shopping centres around the world in Apple Maps, new ways to discover music with friends in Apple Music, one-handed keyboard mode on iPhone and much more. The developer preview of iOS 11 is available to iOS Developer Program members at developer.apple.com starting today, and a public beta program will be available to iOS users later this month at beta.apple.com. It is compatible with iPhone 5s and later, all iPad Air and iPad Pro models, iPad 5th generation, iPad mini 2 and later and iPod touch 6th generation.